Have you ever run into the situation where you could connect your laptop to your wireless router, but could not browse the Internet? There could be several things going on in this kind of situation: either your computer has a problem or the router cannot connect to the Internet via your ISP. So if you’re able to connect to a wireless network, but can’t get out to the Internet, then first check to see if it’s your compute or the router. You can do this by trying to connect to the Internet from another computer connected to the same wireless network. If the other computer can browse the Internet fine, then your computer is having issues. If not, you should try restarting the wireless router along with your cable modem or ISP router, if you have one. If that doesn’t work, call your ISP and they can run some tests to see if they can reach your router. On the other hand, if you have a problem with your laptop connecting, it’s much harder to solve! Why? Because there are a lot of reasons why an Internet connection may not be functioning properly. I’ll try to go through as many solutions as possible to fix this and hopefully one of them works for you! So if other computers on the network can connect to the wireless router and to the Internet, let’s see if we can determine the problem with your wireless Internet connection. First, connect your computer to the router using a Ethernet cable and see if you can connect to the Internet. If so, that means there is something wrong with just your wireless network connection. If you can’t connect via the wired connection either, then your TCP/IP Internet stack may be corrupted. Try the fixes below. Also, check your laptop and make sure your Wireless switch is set to ON before moving on because a lot of times the Wireless on/off switch accidentally gets switched to OFF. Sometimes you have to press Function (Fn) + a Wireless Key (F5) or sometimes it’s an actual physical switch. Reboot your computer and see if the Internet connection works. If you have more serious problems with Winsock, read my post from OTT on how to repair Winsock errors in Windows. Sometimes Windows can have problems with a particular wireless card because of its driver. This problem especially occurs on Windows Vista machines that have older drivers for wireless cards. Go to Device Manager by right-clicking on My Computer and going to Properties. On the Hardware tab click on Device Manager. If you see anything with an exclamation point or red X under network adapters, that might be causing the network connection problems. Download the latest drivers from the manufacturers website on another computer and copy them over using a USB stick or CD. Update the drivers and restart the computer. Sometimes your wireless network may have MAC address filtering enabled, which means only certain computers can connect to the router. You can quickly tell if this is the case by simple resetting the wireless router to default factory settings. This will remove all security, filtering, port forwarding, or any other settings that could possibly be preventing your computer from connecting to the Internet. Read my previous post on how to reset your wireless router. Sometimes you simply have to update your laptop hardware drivers for all devices such as the BIOS, firmware, system drivers, etc. It’s also a good idea to update the operating system with all the latest service packs and patches. The problem may not be related to your wireless network card per say, but on the hardware that your OS is running on. Another issue that can cause connectivity problems to the Internet is unsupported wireless security settings. 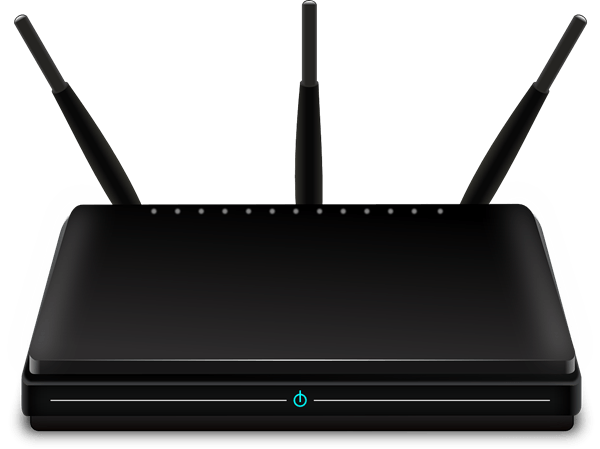 Sometimes if you buy a new wireless router and setup security using WPA or some other strong encryption, your wireless card may not support it. In that case, try to turn off all wireless security and see if that solves your problem. It’s best to just make the network an unsecured wireless network temporarily so that you can figure out whether it’s the security settings that are causing the problem or not. If you can connect to the Internet when there is no security, then try a different protocol like WPA2 + WPA. Read my in-depth post on the difference between WPA2, WPA and WEP. 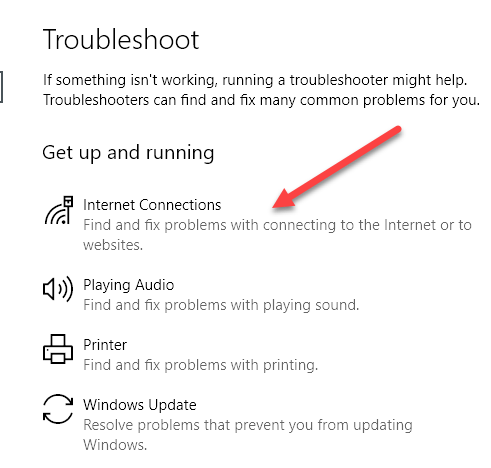 If you’re having this issue on a computer running Windows 7, Windows 8 or Windows 10, then you can give the Internet connection troubleshooter a run. It’s built right into Windows and has a pretty good knack for fixing pesky Internet problems. Even if it can’t fix it, the troubleshooter can usually tell you what the issue is and how it can be fixed. Just click on Start and type in troubleshoot. 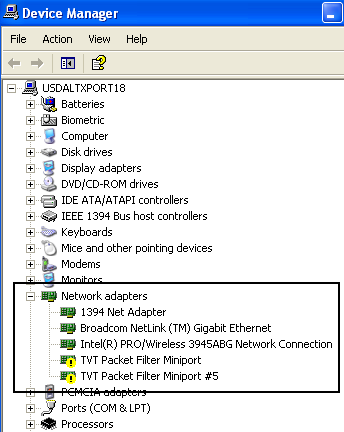 When you run the troubleshooter, you will see Internet Connections in the list. Choose that and it’ll diagnose a bunch of different issues automatically. I really can’t think of any other way to fix this problem other than trying a PC reset or full reformat of your computer. 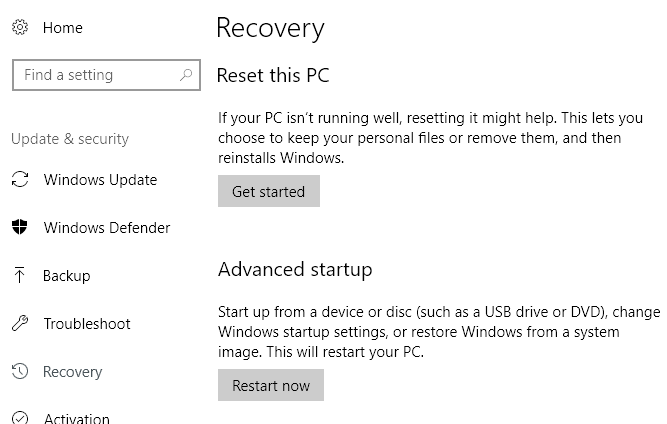 A PC reset is a better option because you won’t lose any of your programs or personal data. You can read my post on reset your Windows PC here. Scroll down the appropriate section for your operating system. Also, you should only reset your PC if you are certain the wireless router is functioning properly and it’s only a problem with your particular computer. Another possible issue could be a recent change to your proxy server settings. If you took your computer to a corporate environment for a short time, it may have picked up some custom proxy server settings from that network. 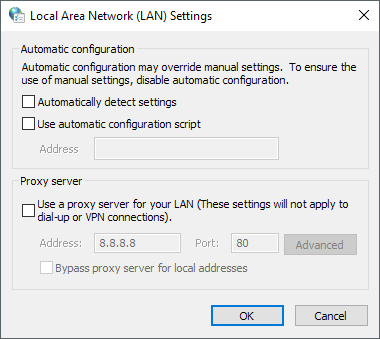 You can read my previous post on how to configure proxy server settings so that they don’t interfere with your Internet connection. If you tried something else that fixed your problem, post it in the comments. Enjoy!